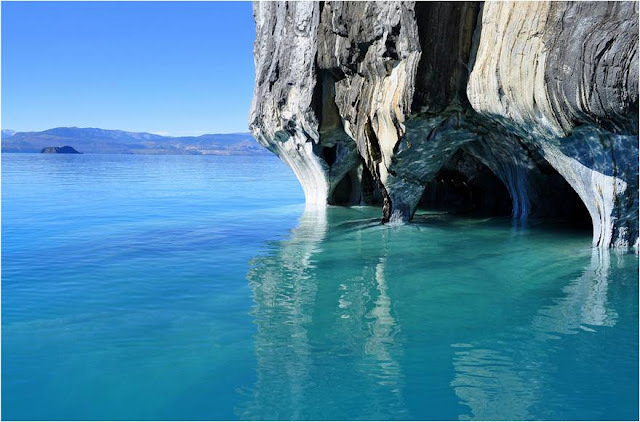 Shared by Argentina and Chile the deepest lake in South America is famous for its trout and salmon fishing. 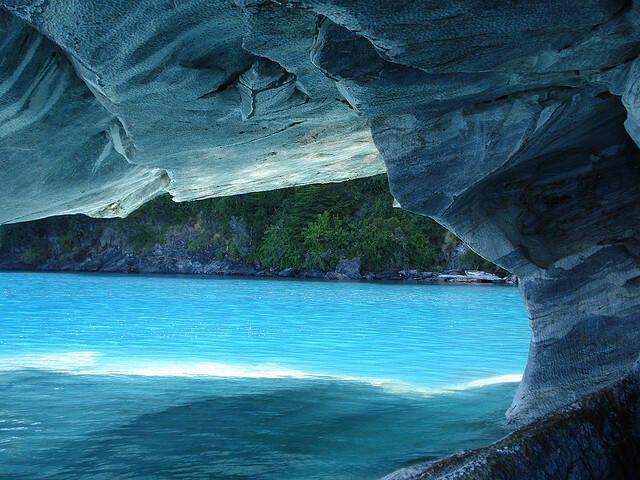 The waters of General Carrera Lake are beautiful, a glittering combination of emerald, turquoise, aquamarine and azure. The sky may be blue but the waters seem bluer still. 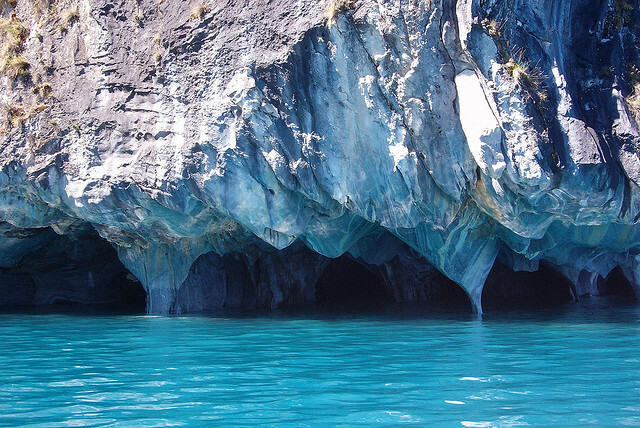 However along its banks, directly below the Andes, sheer marble cliffs present themselves to further astound the visitor. 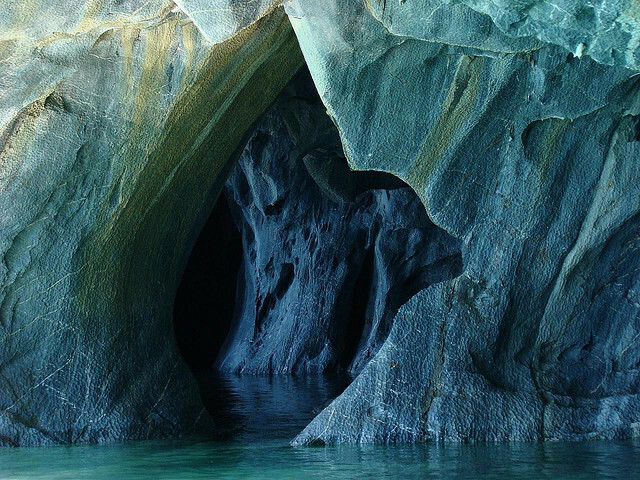 Over the millennia they have been weathered and folded to create a stunning cathedral of marble. From a distance the lake looks magnificent, although when you get closer its dazzling beauty becomes ever more apparent. 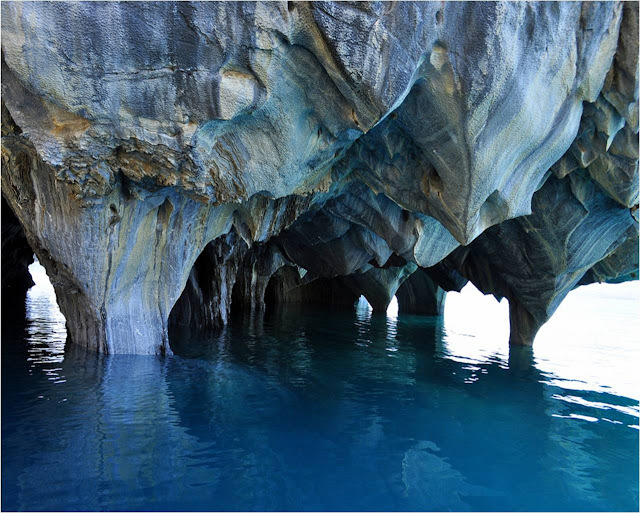 The passageways and caverns formed over vast stretches of time are sometimes large enough for small boats to glide through. Albeit precariously. 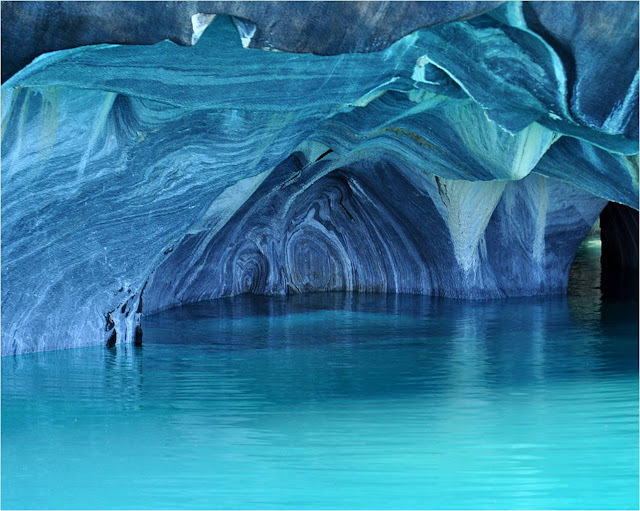 It does not take long to become enchanted by Las Cavernas de Marmol as this exquisite labyrinth is known locally. 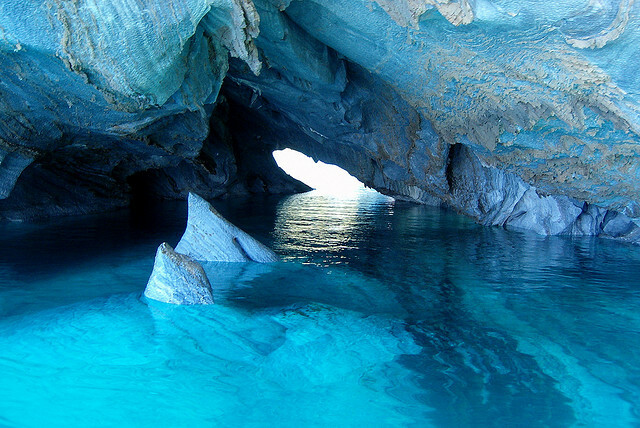 Perhaps even the most cynical jaw might drop at this majestic sight. 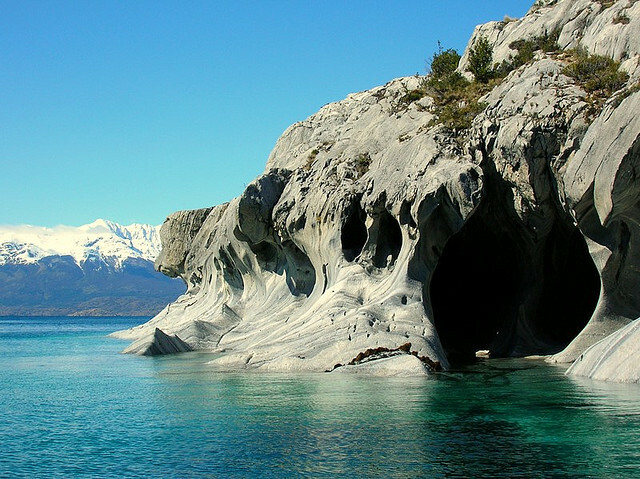 As well as being the deepest lake in South America, General Carrera Lake is the biggest lake in Chile with a surface area of almost a thousand square kilometers. 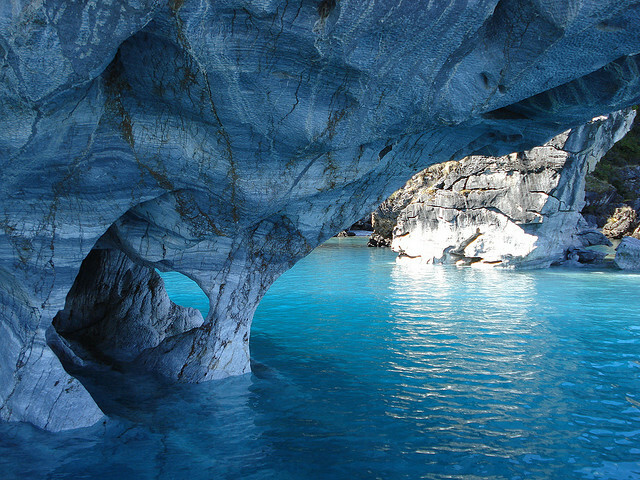 It is 200 km long, at an altitude of 350 meters and has a maximum depth of 590 meters. 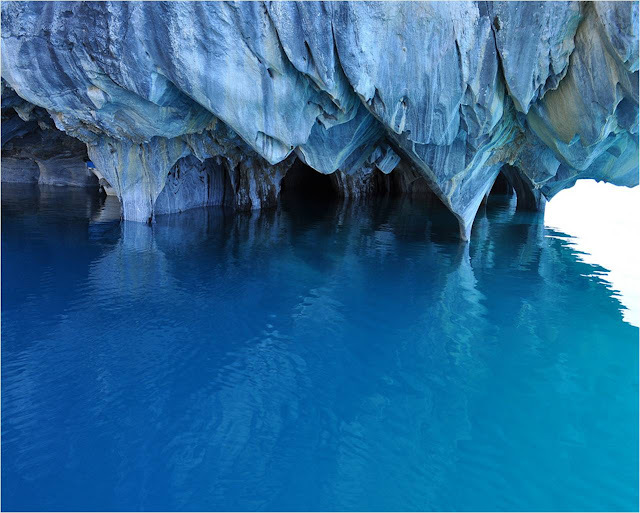 It is known as Lake Buenos Aires by the Argentineans. 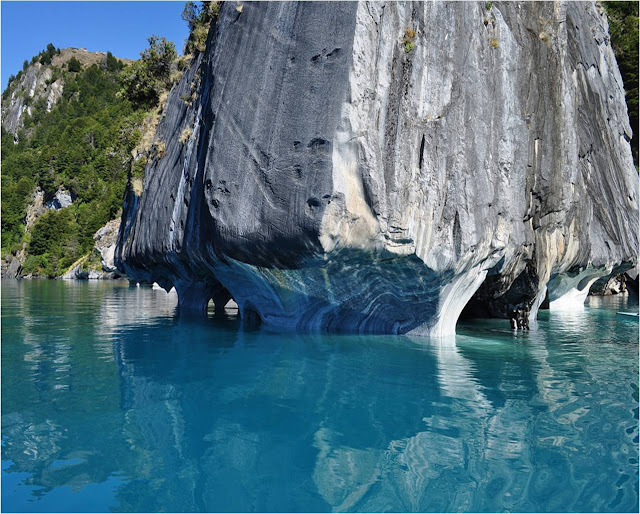 The marble protrusions stretch along a beachside and are around 300 meters in length. 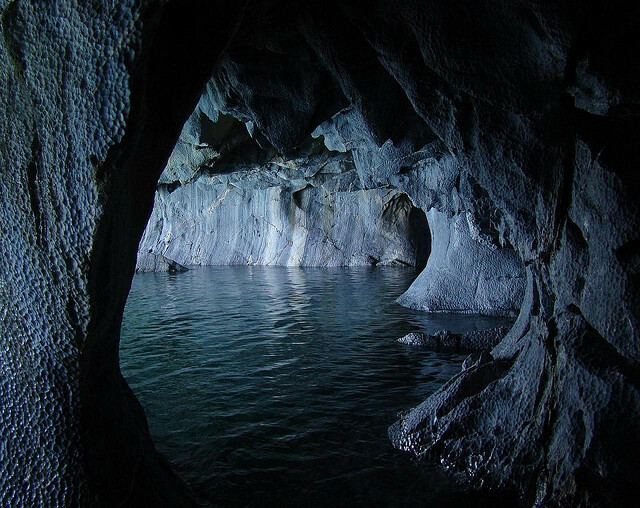 The waters of the lake have slowly impacted upon the marble and, in their infinite patience, have created something of enormous, almost bewildering beauty, like gigantic walls and caverns of marble medallions. 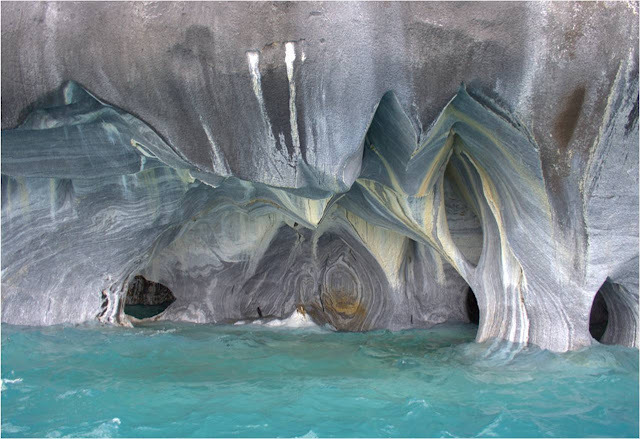 The rock manifests different tones which are dependent upon the natural impurities within the marble. 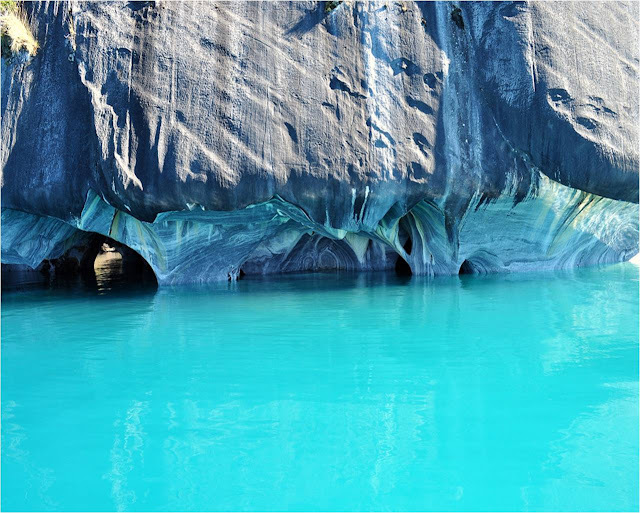 Although the white banks, of immense purity are predominant blue and pink marble banks can also be seen due to the presence of other minerals within the rock. 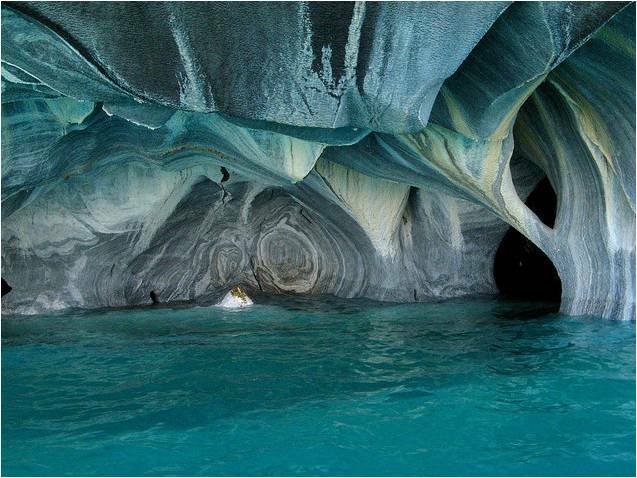 Strictly speaking, although the Marble Cathedral is spoken of as one formation, in truth it is three. The largest is El Catedral – the Cathedral. 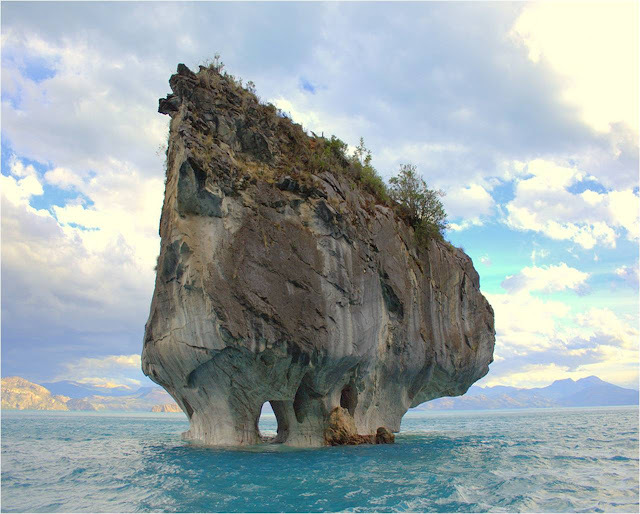 There are two smaller formations which are known as La Capilla – the Chapel which rise from the lake, and La Cueva - the Cave. 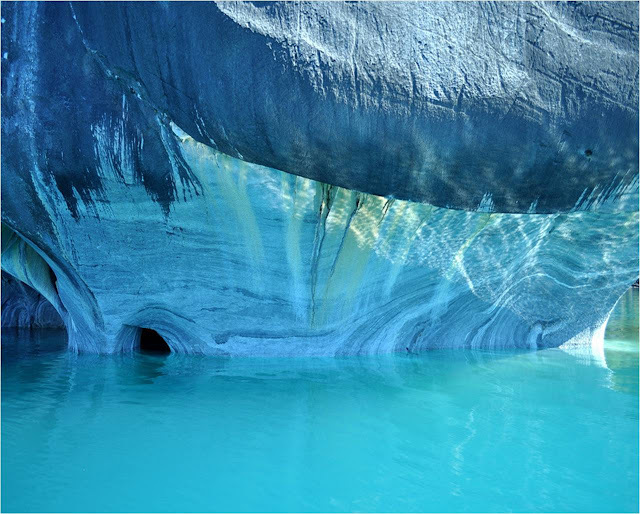 It has been estimated that these vast sections of marble weigh 5000 million tonnes and consist of 94% calcium carbonate. 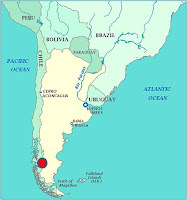 The area is not in the one of the most hospitable areas of the world but it is lucky. 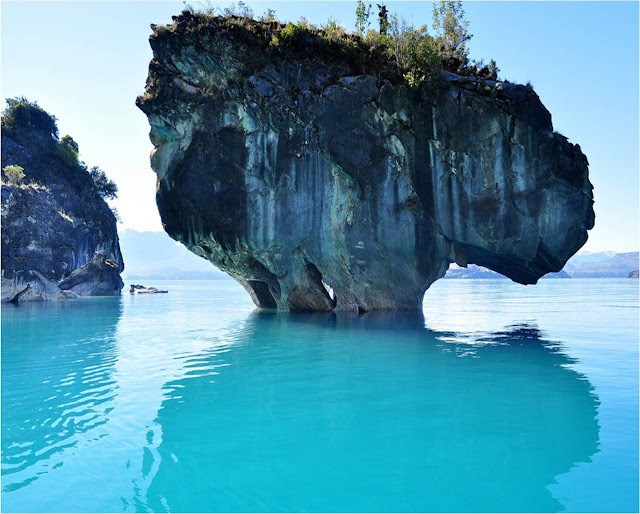 Although the region is cold and humid the lake enjoys a sunny microclimate. So although you may be cold getting there, once you are there you should be warm! 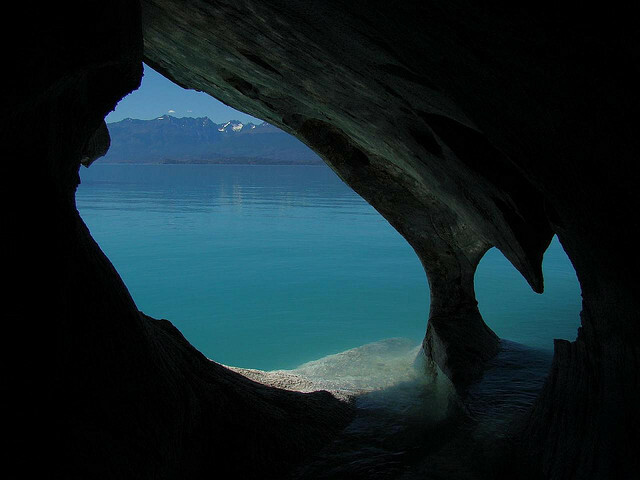 Although the lake has been known by Europeans for little over a hundred years, they were not the first to discover the beauties of the lake. The indigenous people of the region, the Tehuelches, a once nomadic tribe also known as the Patagons have inhabited the region for thousands of years. Their name means the fierce people. 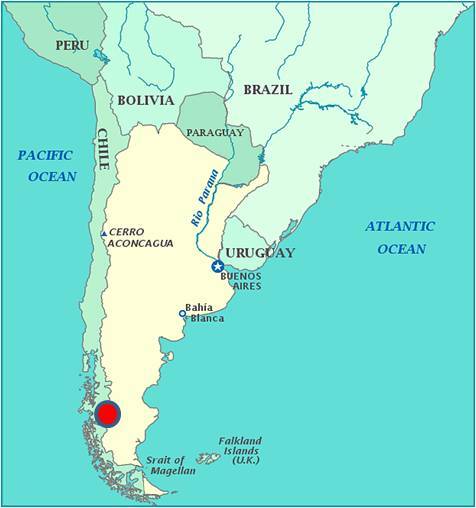 They must have been to make their way through the isolated strips of plains through which the lake can be accessed on the Argentinean side. These stunning pictures represent quite an achievement on behalf of the photographers. 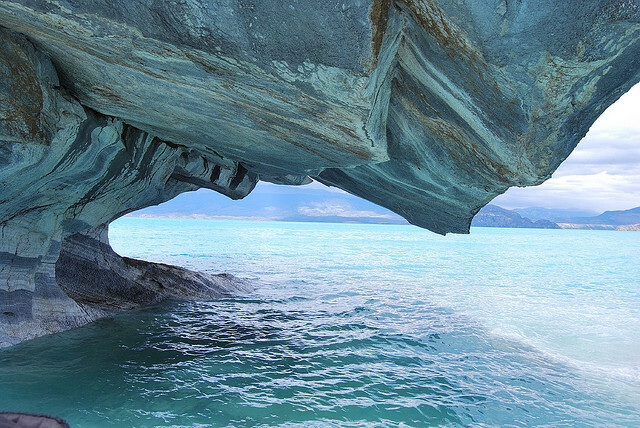 Not only are the caves difficult to reach but the lake itself, being so large, can develop swells and waves which make photography quite a challenge. 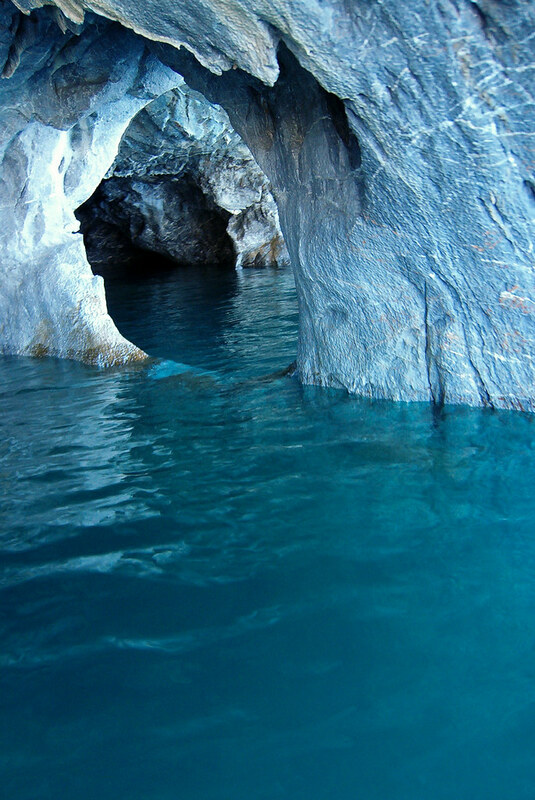 Often, as only small boats can navigate the caves, the journey becomes impossible after a certain point. Although this would, perhaps, be one of the most beautiful places on earth in which to expire, most photographers are somewhat reluctant to embrace this destiny. 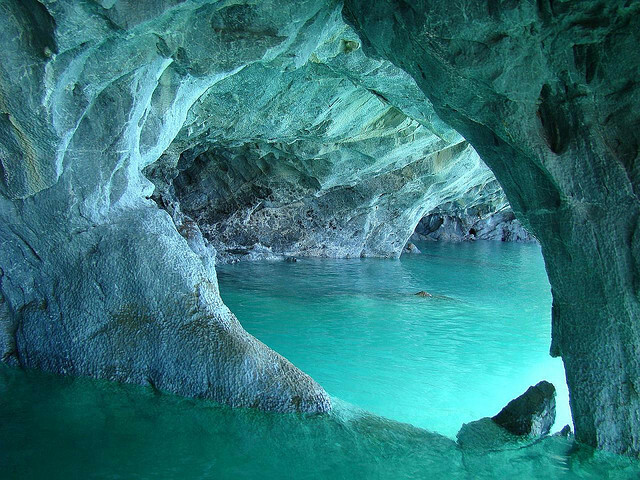 However, it is easy to imagine how the traveler may be inclined to stay in this amazing place much longer than they had originally anticipated. However, there is a problem in this particular paradise. 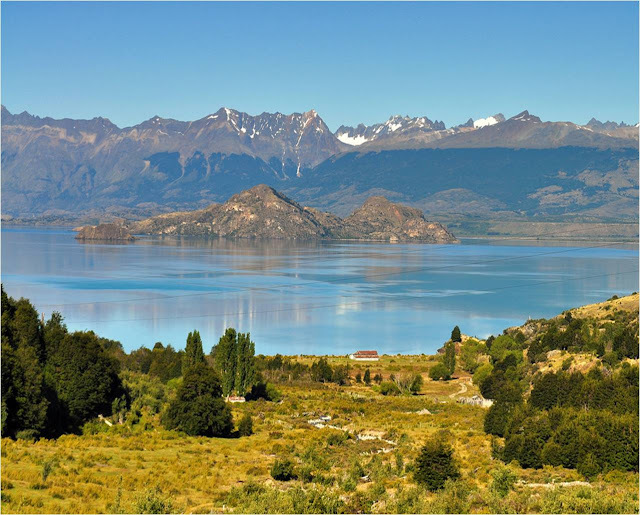 The Hidroaysen company intends to build five mega hydroelectric facilities in the basins of Baker and Pascua rivers in Chilean Patagonia, destroying the banks of its reservoirs, the original ecosystem, rich fauna and local culture. 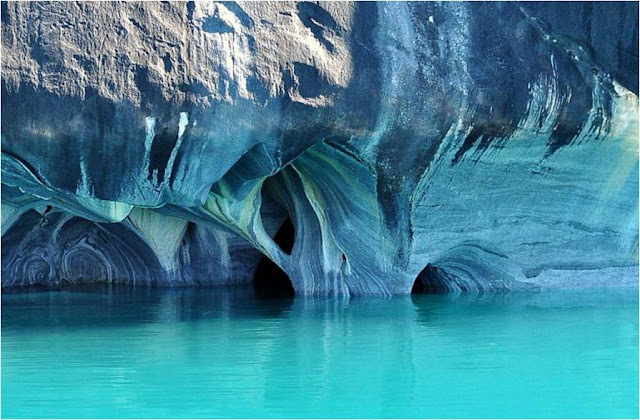 To find out more, please visit the Save Patagonia or Patagonia Without Dams websites. Kuriositas would like to thank Flickr Users Jorge Leon Cabello, Orlando Contreras López, and Ricardo Gallardo for their kind permission in allowing us to share their marvellous photographs with you. Please visit their Flickr Photostreams.